Hoping for some help on this one...I will be in St Louis, Mo the first week of May to attend my nephews wedding on May 6th. I am wondering if any of you live there or have ever been there to suggest some good shops for my sister and I to visit? I always try to compile a list of places to visit, shop and eat before I leave for a new place. And in this case, my sister and I both started a list. When we finally talked about it last week, this store was at the top of both lists, even though we did not consult each other. Not surprising really. Obviously, I have always wanted to visit this shop...I already have a list going of stamps to purchase. 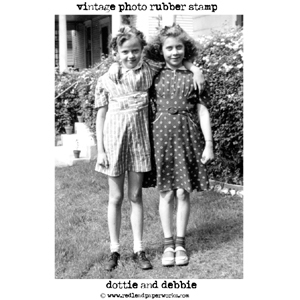 Like this one, Dottie and Debbie made from a vintage photo...so unique. 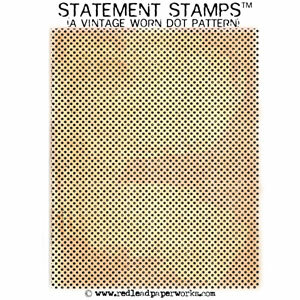 and this one, a 4 x 5" vintage dotted stamp, fabulous for backgrounds I think. I also love their vintage elements Collage Sheets and these Big Time Brads. So back to my original question...if anyone knows of few good shops to visit (and you know how much I like junk), or even a great place to eat? We have about 3 days of free time before the wedding and the husbands arrive. If you have any suggestions will you leave a comment or you can email me at paula@2gypsygirls.com. Thanks in advance! Oh, and one more thing. 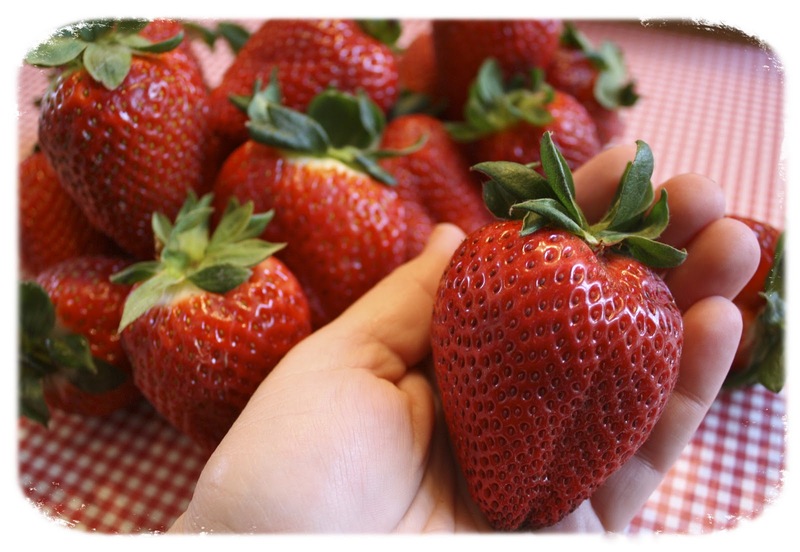 Remember, I said I was going to the berry stand for fresh strawberries on Friday? Well, look at the size of these! They were so sweet, no sugar was needed. I bought a 1/2 flat on Friday and they are all gone now. So I may be back at the berry stand today. 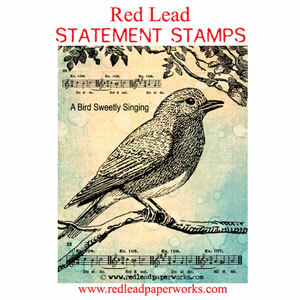 Sorry, I live on the east coast but that Red Lead Paperworks looks exactly like my kinda place. Have a great time! Obviously I'm a little prejudice, but For Keeps Sake (I teach classes there) is a 5000 square foot mecca of paper art supplies. There's also a really good antique shop nearby. Once you're in the store, someone can give you directions to the antique shop. It's only about 10 minutes away. What kind of shopping are you looking to do? 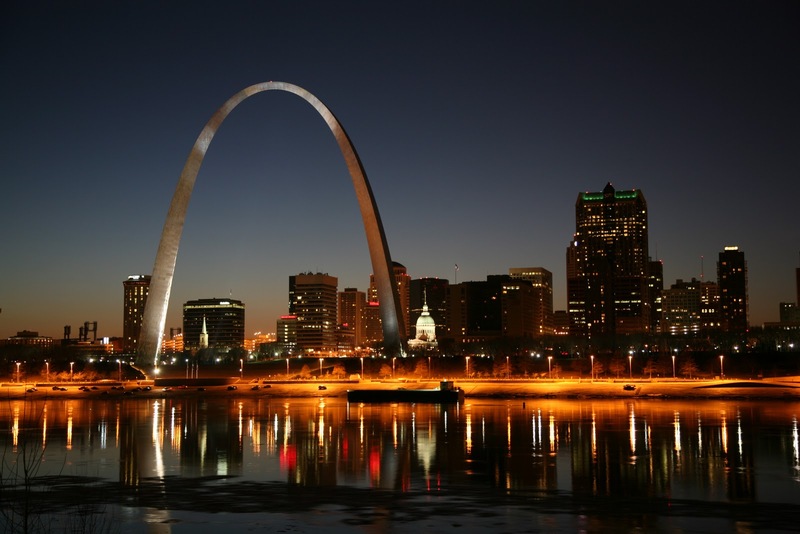 There's a million different ways to shop in St. Louis! I'm jealous you are getting to visit Red Lead. It's also on my sister and my short list of places to visit. Enjoy for us too! I would put Rock Paper Scissors on your short list. It's located on historic Main Street in St Charles Mo about 30 minutes from For Keep Sakes shop. Rock Paper Scissors and Red Lead are my 2 favorite stores and For Keeps Sakes is number 3. Main Street also has bead shops too. Nancy from For Keep Sakes just made the Graphic 45 Design Team. Jealous that you get to visit Red Lead in person! I make do with mail order. It's on my list of places to visit if I ever get to that past of the country. Hi Paula, The St. Louis Antique Festival in Belleville, IL is going on April 30th-May 1st. Columbia,Missouri has an antique mall called Artichoke Annie's thats fun to shop at. I live over by Clinton, Missouri and the big event for antiques is the White Cloud, Kansas and Sparks, Kansas flea market. Located in the midddle of nowhere up by St. Joe, Missouri. Around 450 antique dealers at Sparks, kinda of the Round Top of the midwest show. Sparks has a web-site www.sparksfleamarket.com for more info. Not for sure how many dealers at White Cloud but a lot. The two towns are about 7miles apart. This year the dates are April 28,29,30 and May 1st. Hope you have a great time while in Missouri!